Jihad Watch : Singapore has been in the news for other reasons recently, but its appearance on the world stage, however brief, may provide us with an excuse to consider the views on Islam of the founding father of Singapore, and its longest-serving Prime Minister, Lee Kuan Yew, who died in 2015. Lee Kuan Yew lived in a multicultural city, with a Chinese majority and Indian and Muslim Malay minorities. All his political life, Lee Kuan Yew was aware of the need to keep the Muslim population in check. The laws he had passed, the regulations he enforced, were directed in large part to that end. He knew about Muslim efforts to convert others, and he made sure that any convert had to immediately register with the government, so such efforts could be monitored, and then countered, by the government. It was under his leadership that the government instituted a ban on hijabs and other Muslim headscarves in both the police forces and nursing jobs. Lee Kuan Yew also substantially reduced government funding for madrasas, while increasing support for secular education. 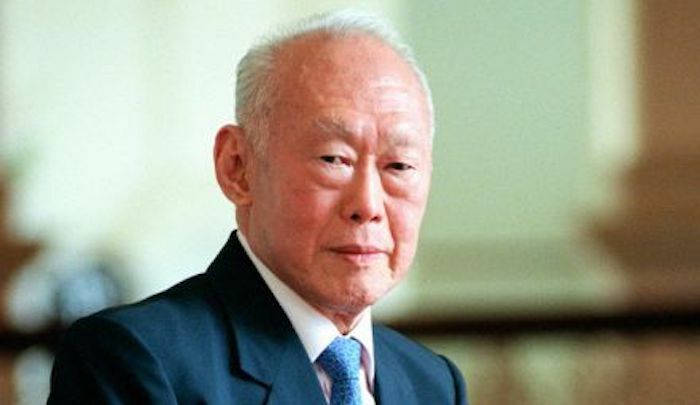 Lee Kuan Yew had, after all, originally declared Singapore’s independence from Malaysia because the Muslim Malays rejected meritocracy, and insisted on giving economic advantage to themselves. All Malays were required to be counted as Muslims (even if some were not), and all Muslims benefited from a disguised jizyah tax on non-Muslims which is called the “Bumiputra.” Although the word means “sons of the soil,” it is not the indigenous Malaysian tribes that benefit from the “Bumiputra” policy, but Malay Muslims alone. According to this “Bumiputra” idea, all economic undertakings, all examples of entrepreneurial flair, must have Muslim Malays as their full partners. Two Chinese who wish to open, for example, a computer consulting company, or an architectural firm, are required to take on a Muslim Malay (but not a Hindu, nor another Chinese) as a full partner, with an equal financial stake — even though he need not contribute a thing. This is simply a way to ensure that the Muslims can continue to live on the backs of non-Muslims, who fulfill part of the traditional status of dhimmi by what is in effect a jizyah payment. In his book Hard Truths to Keep Singapore Going, Lee Kuan Yew urged Muslims to be “less strict’ in their interpretation of Islam.